In these 24 hours, a new year will begin. Here is to a happy, healthy, and successful 2014. Cheers! The number is ultimately converted into a binary number, with each of the 16 bits fitting a 4 x 4 matrix. If the square is turned "on" (having a value of 1), a square will be drawn. Each space if the matrix represents a binary bit: 2^0, 2^1, 2^2, 2^3, etc. The lowest value bit is located at the bottom, right-hand corner element of the matrix. Comments followed by // are for notes and do not necessarily have to be typed. // does the user want color? The program is an almost carbon-copy of DRAWICON4, except the limits have changed. Have fun and thank you as always! 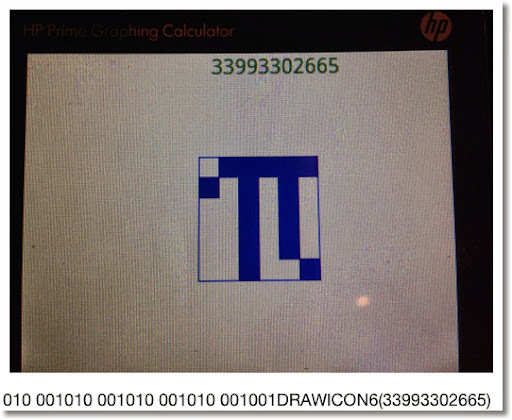 I wonder how much of a challenge to do this on a TI-84? Greetings! Thank you everybody for making this blog as successful as it is. Look for more exciting things to come into 2014. Merry Christmas and have a happy holiday season! 1. Any command from the CAS mode to be used in the Home Mode, regardless of entry, must have a "CAS." prefix. Examples include CAS.diff, CAS.simplify, etc. 2. Algebraic (symbolic) objects need single quotes surrounding them. They can be called by pressing Shift+Parenthesis Key (). 3. Not all CAS commands work as expected in Home and Programming. My focus is on the Home mode. Note: Start and End must be numerical limits. I recommend zeros and cZeros, not solve and cSolve. The syntax is pretty much the same. Got to include the variable! Hope this helps and we will cover more of this subject in the future. Good to talk with you all again. Before we get back to HP Prime programming goodness, let's make a side trip into algebra land. A practical way to get the modulus is to get the remainder (in other words, what's left over) of the division X/Y. Divide 13 by 5, we get the quotient of 2 and the remainder of 3. Let A and B be integers. A MOD A = 0. Easily justified since an integer divided by itself has no remainder. If B > A, A > 0, and B > 0, then A MOD B = A. Any integer divided by a larger integer, the remainder will be an original integer. Example: 11 MOD 12 = 11. The division of 11/12 has the quotient of 0 and the remainder of 11. A common way to think of the modulus function is dealing clocks and calendars (MOD 12). x MOD 4 = 2. Easily x = 2 is a solution since 2/4 leaves a quotient of 0 and remainder of 2. Observe that x = 6 also works. 6/4 has a quotient of 1 and a remainder of 2. A way to find possible solutions is to build a table, using the good old trial and error technique. Stop when we get to A MOD A. (See the Properties section above) This can get very lengthy when A gets large. In trade, you can easily see the solutions of A MOD x = B (if solutions exist). From this we find that the solutions are x = 4 and x = 8. A very fortunate occasion. Darn it! No solution to 13 MOD x = 8. It happens sometimes. Hopefully this is helpful. Thank you for your comments and questions. Honestly I can't thank you enough. Have a great day! Welcome to Part 8 of the HP Prime Tutorial. Continuing in our drawing commands, we are going to feature ARC and LINE. ARC(x, y, r, angle 1*, angle 2*, color*). r: length of the radius in pixels. This is why I prefer using pixel commands in my programming. angle 1 and angle 2: If included, these two arguments draw an arc segment. 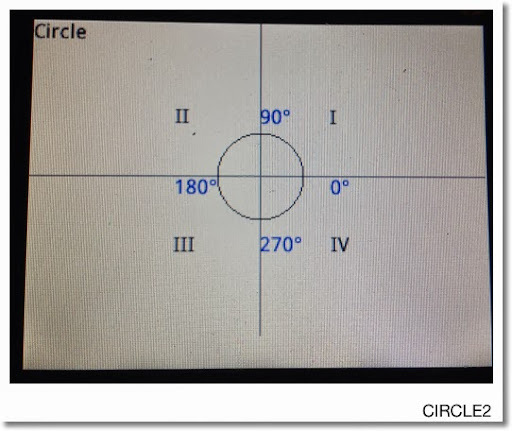 The angle follows the conventional circle notation, starting with 0 (due east) going counter clockwise. Use the current angle mode. color: color of the arc. To use it, angle 1 and angle 2 must be included. Draws a line segment from (x1, y1) to (x2, y2). The color is optional. The next to programs CIRCLE1 and CIRCLE2 do the same thing: draw a circle, label quadrants and angels. The reason why I am posting these two is that when you are programming graphics, care must be given. 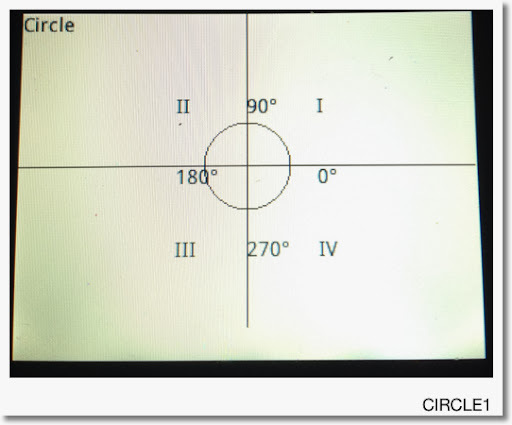 Adjustments to where graphics are placed can be necessary and I hope CIRCLE1 and CIRCLE2 illustrates this. Medium font is assumed (set in Home Settings). The angle symbol (°) get be retrieved by pressing Shift + 9 and selecting ° from the grid. This is good, but we can do better. First I am going to move the labels II, 180°, and III 10 pixels to the left, primarily so the 180° label does not touch the circle. Second I am going to move the labels III, 270°, and IV up 10 pixels to make the bottom line look better and not "so far away" from the circle. Although it is not necessarily, I am going to make the angle labels blue. I will need to specify the font size code at 0. Finally, I find that the lines are too dark. I am going to make them a bit more gray. Here is the second revision. For the purposes of this tutorial, I call this program CIRCLE2. All changes are in bold. As always, thanks for your time, comments, and questions. Hopefully this session is helpful. Greetings everyone. It has been too long since I last posted. I hope everyone had a fantastic Thanksgiving. For those of you who are battling cold and stormy weather, please be safe. For those of you living in the Southern Hemisphere where summer is about to begin... I'm jealous! :) I love summer. 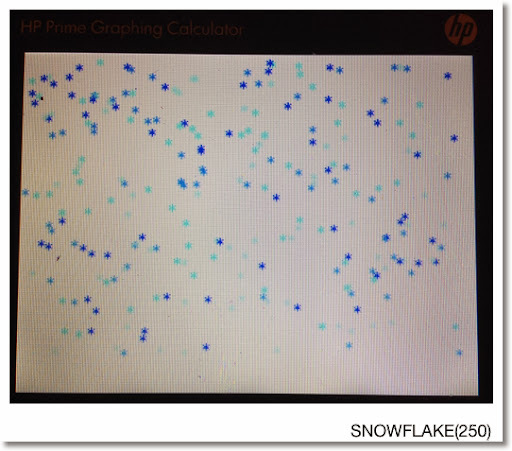 OK this section we will start covering some of the graphics features of the HP Prime Programming Language. We touched on graphics a bit when we used STARTAPP and STARTVIEW to call up the Plot screen of certain apps (Function, Parametric, Polar, Advanced Grpahing). 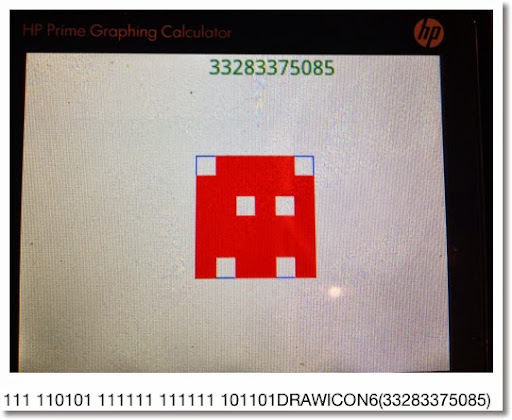 This time we are going to use drawing commands that can be used in any HP Prime app. In a sense we are creating a graphic object (GROB). 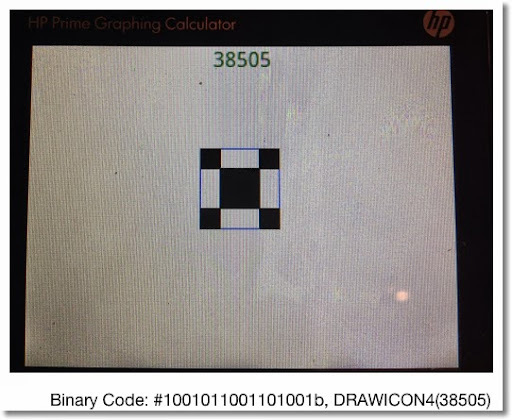 The HP Prime allows for ten graphic objects, named G0 - G9. For this tutorial series, (unless specified) I am always going to use the default GROB, G0. This makes typing commands much easier. 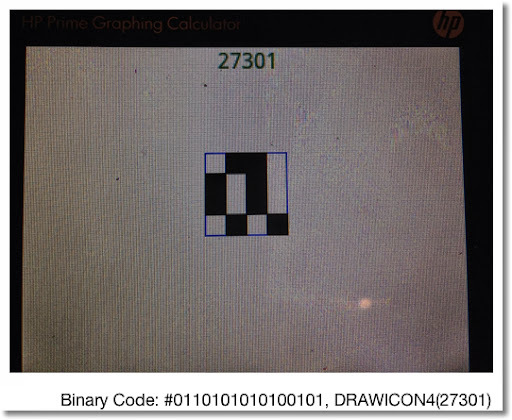 Each graphic object operates in either one of two coordinate systems: Cartesian and pixel. 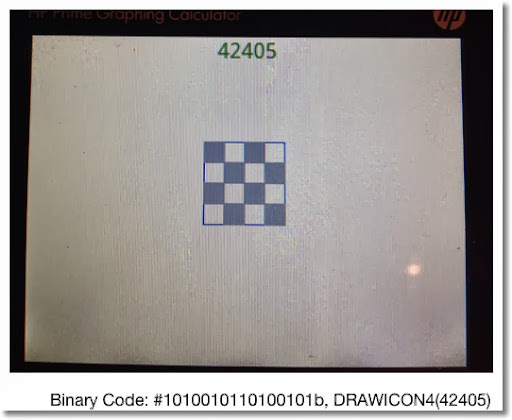 If you worked with the Hewlett Packard HP 39gii calculator, this might look familiar to you. * The end points depend on the Plot variables Xmin, Xmax, Ymin, and Ymax. * The system is familiar, having x increasing as we move to the right and y increasing as we move up. (no shocker there). 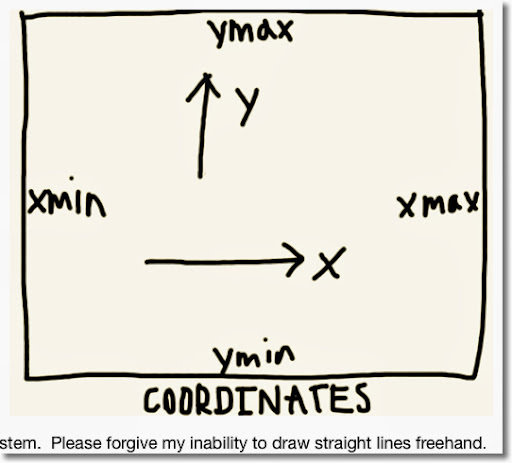 * The trade is that some (very few) drawing commands don't accommodate the Cartesian system. 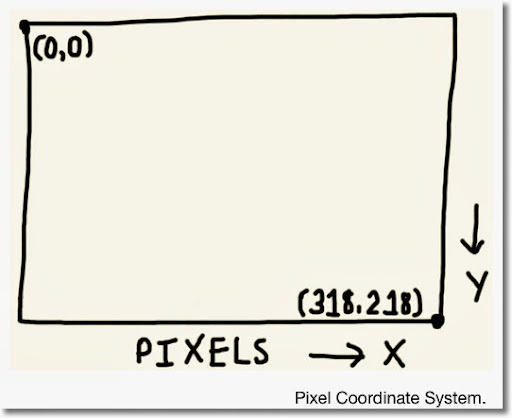 An example is the ARC command, which requires the radius to be in pixels. * The boundaries are fixed. 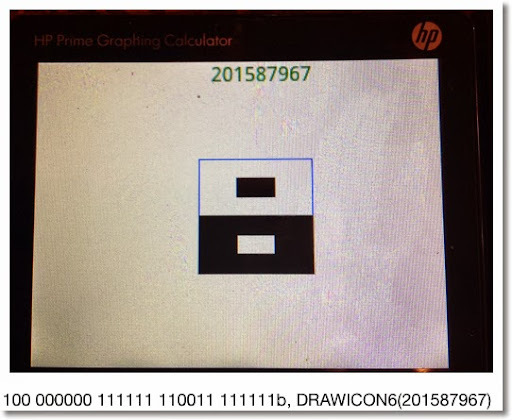 The pixel (0,0) is the top left hand corner, the pixel (318, 218) is the lower right hand corner. * The value of x still increases as we go to the right. However, y increases as we go down, opposite of the Cartesian system. On the other hand, x and y are always non-negative. LINE draws a line using Cartesian coordinates, while LINE_P draws a line using Pixel coordinates. To clear the GROB screen, we will simply type RECT(). The wipes the screen, leaving it white. It is necessary to do this at least at the beginning of each program containing drawing commands. In a sense, RECT() is similar to PRINT(). Hint: To paint an entire screen a specific color, use RECT(color). FREEZE: This does exactly what it says, freezes the screen. To exit, tap the screen or press ESC. Pressing Enter will re-execute the program. WAIT(0): This freezes the screen for an indefinite amount of time. However, pressing any button will cause the program to continue. Of course, if the last END is followed by WAIT(0), the program terminates. Of course, you can use WAIT(n) to make the calculator wait n seconds before executing the next step. TEXTOUT and TEXTOUT_P inserts text on a graphics object using Cartesian and Pixel coordinates, respectively. They are also at the bottom of the Cartesian and Pixel Drawing sub menus, respectively. (Use either the x,t,θ,n button or the up button followed by Enter). text: The text to be written. It can be a string, results, calculations, or any combination. GROB*: Graphic Object G0 through G9 to be used. If left out, G0 is used. font size*: The text font's size code. Must be used if you want text to be a color other than black. Optional. Default is the current size set by Home Settings. 0: Current font size as set by Home Settings screen. text color*: The color of the text. Use of the RGB command is advised. Optional. Default color is black. width*: Length of the background box of the text. Optional. I usually don't use this argument. background color*: Color of the background box. Optional. I usually don't use this argument. With all this, we finally get to some programming. 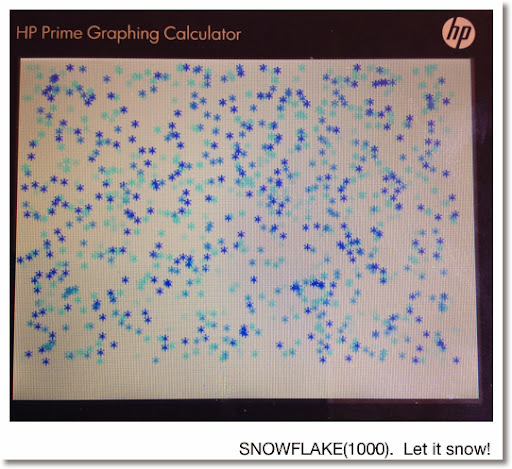 Since it is December, and snowing in a lot of the northern side of Earth, let's use TEXTOUT_P to draw snowflakes. I am going to use symbolize the snowflake by the asterisk, the symbol of multiplication in programming. [ × ] types *. SNOWFLAKE takes one argument, which is the number of snowflakes to be drawn. Note: Take note the order of the commands. 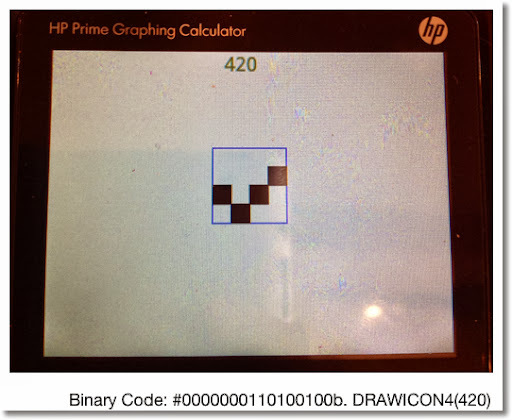 The order regarding where to draw and generate random numbers is important to get the results you want. Next time - we will work with ARC and LINE. Until then, Happy Day/Evening everyone! And in 25 days, it will be 2014!